Many of you have asked for a cheat sheet of sorts regarding our list of Grower-Producer Champagnes. We are firm believers that the more you know about where your wine comes from, the more you’ll enjoy it. (In that light be sure to also check out our posts on Sparkling Wine vs. Champagne, Champagne With Potato Chips, and what the best stemware for Champagne is and why). Below you’ll find some key information on each of our Grower-Producers. Feel free to contact us with any questions at all, including where to find particular wines. Aubry. 17 hectares planted to 40% Pinot Meunier, 30% Chardonnay, 30% Pinot Noir (with Arbanne, Petit Meslier, and Fromenteau) yielding 11,700 cases. Unique Champagnes. They are flowery and high-flying Champagnes. Class, depth and detail are abundant. They are graceful, even when they’re intense. Among the best pink-fizz in the entire region. Be ready to have your mind expanded! Chartogne-Taillet. 11.5 hectares planted to 40% Chardonnay, 38% Pinot Noir, 20% Pinot Meunier, 2% Arbanne yielding 7,500 cases. Spicy Champagnes at the low end; sumptuous, brioche-y Champagnes at the top. Extremely spritzy and highly leesy. At their best they show a force of expressiveness bordering on the supernatural. Gaston Chiquet. 22 hectare estate means we can get some wine to sell! These are sensually gorgeous, hedonistic wines that everyone can cozy up to. They split the difference between the adamantly mineral Champagnes and the overtly fruity ones. They are classical, not romantic; thoughtful but not aloof. Gimonnet. 28-hectare planted to 98% Chardonnay, 2% Pinot Noir yielding 20,800 cases. Very beautiful wine with great class and savor. And sensible prices! The wines are suave, creamy and refined, with a “soft”minerality dispersed through the fruit. Silky, stylish wines rather than vigorous, racy wines. These are very deliciously accommodating to the palate. Old vines impart a palpable creaminess. Henri Goutorbe. 22 hectares planted to 70% Pinot Noir, 25% Chardonnay, 5% Meunier yielding 10,000 cases. These are ripe and extravagant; they are seldom mystic or searching, but instead direct and delicious. This doesn’t preclude a great refinement and class! It means they are oh-so-easy to love. Jean Lallement. 4 hectares planted to 80% Pinot Noir, 20% Chardonnay yielding 1750 cases. Lallement’s virile style exemplifies the characteristic flavor of Verzenay where the majority of Lallement’s holdings reside.. If it were Burgundy it’d be Nuits-St.-Georges; animal and sauvage; original, complex, distinctive and delicious Champagne. Marc Hébrart. 15.5 hectares planted to 70% Pinot Noir, 30% Chardonnay yielding 8,750 cases. Jean- Paul’s wines marry the top Pinot Noir sites of the Vallée de la Marne with Grand Cru Chardonnay sites in the Côte des Blancs. Hébrart’s wines are buoyant and lithe with deft integrations of minerality and juicy fruit. 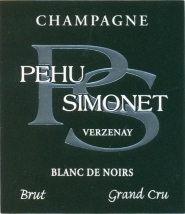 Pehu Simmonet. 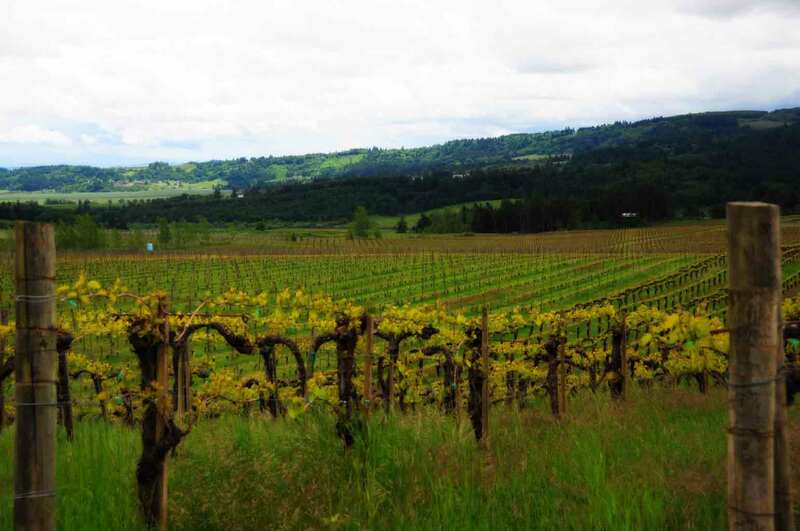 8 hectares planted to 78% Pinot Noir, 22% Chardonnay yielding 4,000 cases. The wines are rather more glossy and fleshy, and correspondingly less sleek and filigree. Entirely engaging and extremely satisfying in an Edgar Degas statuary sort of way. Pierre Callot. 7 hectares of Chardonnay in the Côte des Blancs produce 5,000 cases. The Callot wines are elegant approaching demur but with a persistence like a pebble in your shoe but way more pleasant. Delicate, chalky aromas. Pierre Péters. 18.5 hectares 100% Chardonnay yielding 14,000 cases. 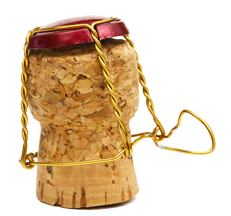 These are blow-your-mind Champagnes! Crystalline, jewellike firmness and immense depth give these a Krug-like profile nearly unique among Blanc de Blancs. Though not exceptionally high in acidity, they are exceptionally low in pH, which gives them their attack on the palate and their trilling high notes of aroma. Varnier-Fanniere. 4 hectares of Chardonnay in the Côte des Blancs produce 3,000 cases. His wines are precise and terroir expressive, in the direction of Avize “graphite”, while also being delicious and pleasurable. They exude class and fastidious detail.